Dr. Christina Angelos Welcomes You! 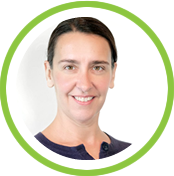 Experience Gentle Healing with Christina Angelos, D.C.
Oakland chiropractor, Dr. Christina Angelos welcomes you! From the moment you arrive for care to the moment you leave, the focus is on you! Our relaxing, warm and friendly environment is all you’ll need to experience the best health care you can. We offer the gentlest techniques as well as massage, exercise therapy, laser therapy, nutritional counseling, ultrasound and more to ensure that our care is suitable for everyone. 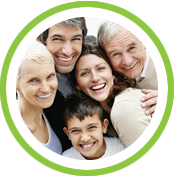 Whether you’re an infant, a senior or anywhere in between, we can help. We provide individualized care to meet your exact needs. Dr. Angelos’ thorough examination will involve a discussion of how we’re able to help you and what’s going on in your body, so you’ll feel confident through every step of care with us. We also offer several adjunctive therapies to further complement your chiropractic care and speed your healing process. You don’t have to live with the pain you’ve been experiencing. 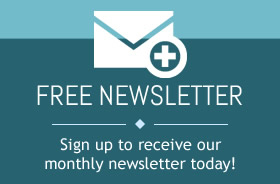 We want to help you get back to the life you enjoy! Chiropractic care is an experience in liberating yourself from the problems that have been holding you back. 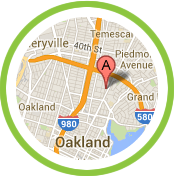 Chiropractic Care for Oakland, Piedmont, Berkeley and Emeryville! I experienced marked improvement after just 2 visits! I was hesitant to see a chiropractor for the first time, but Dr. Christina made me feel very comfortable during my first visit. I would recommend her to everyone! My first visit was excellent. I departed the clinic feeling better. Dr. Angelos is great!! She changed my life. I’ve seen her 3 or 4 times and every time is great! My shoulder issue is gone, my leg issue is virtually gone and my back is SO much better!